Here I've created a simple cross charm that both men, women, and teens will love! Attach it to a cell phone, a key ring, sports bag, zipper, backpack...the list goes on and on! 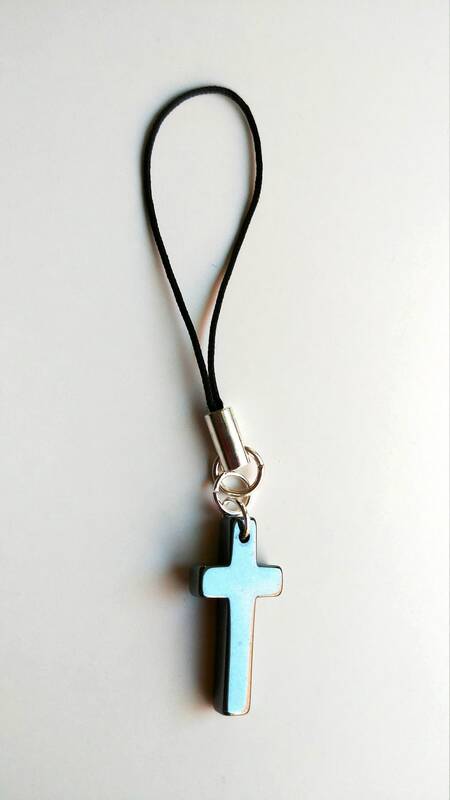 The cross charm is 7/8 of an inch and made of Hemalyke which is of a metallic gray color. It is that "perfect little something" or "Communion favor" type gift. Better than expected. Great for the price! !